Merchants will be able to present a dynamic convertor from area (surface) units to quantity. 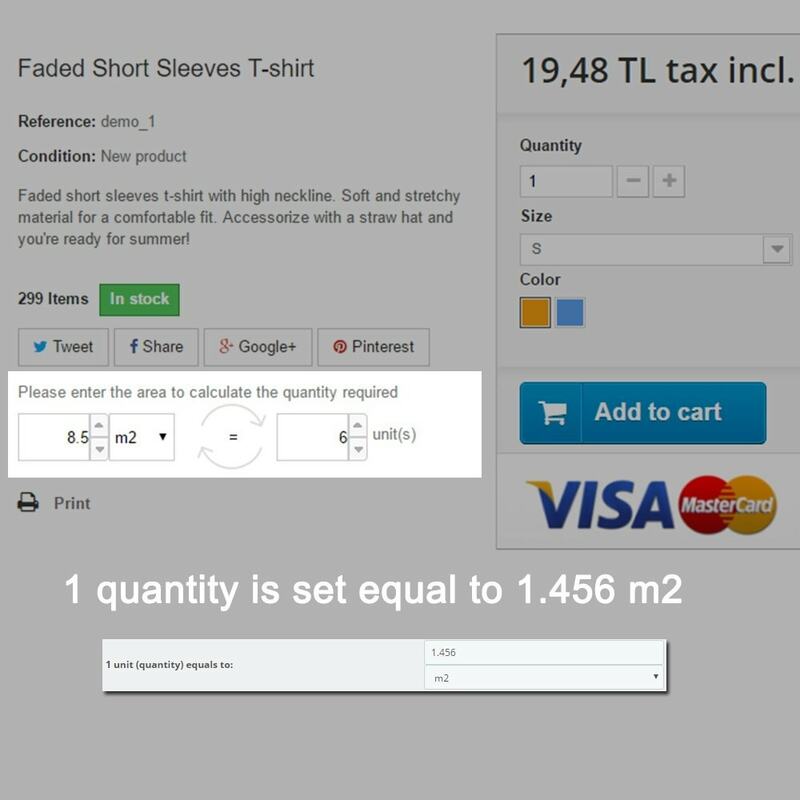 Therefore customers will know how much quantity they need to place an order. Each product can be configured separately. 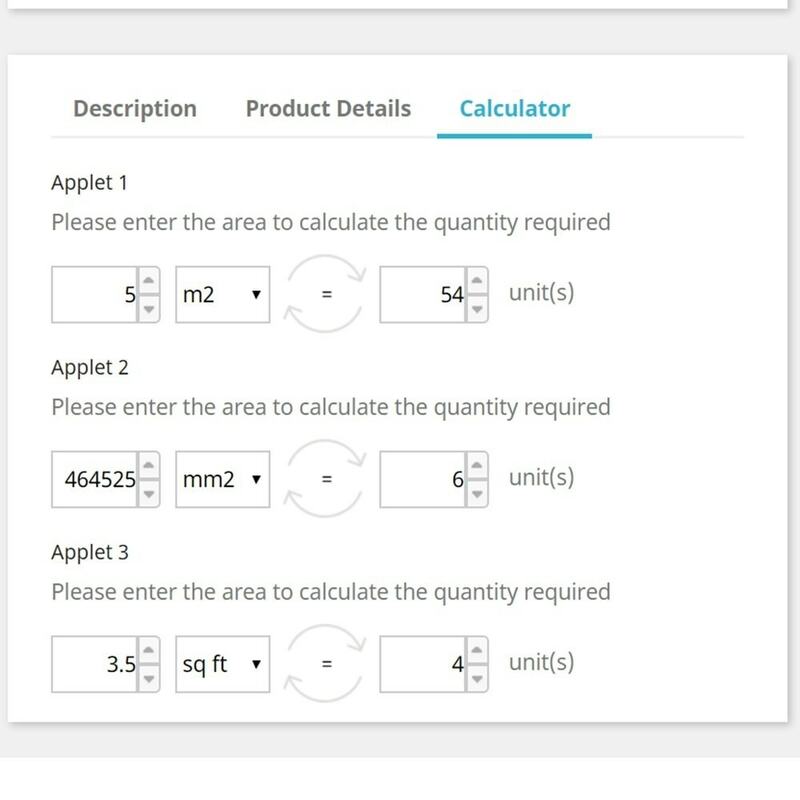 You can enable/disable the calculator for selected products. 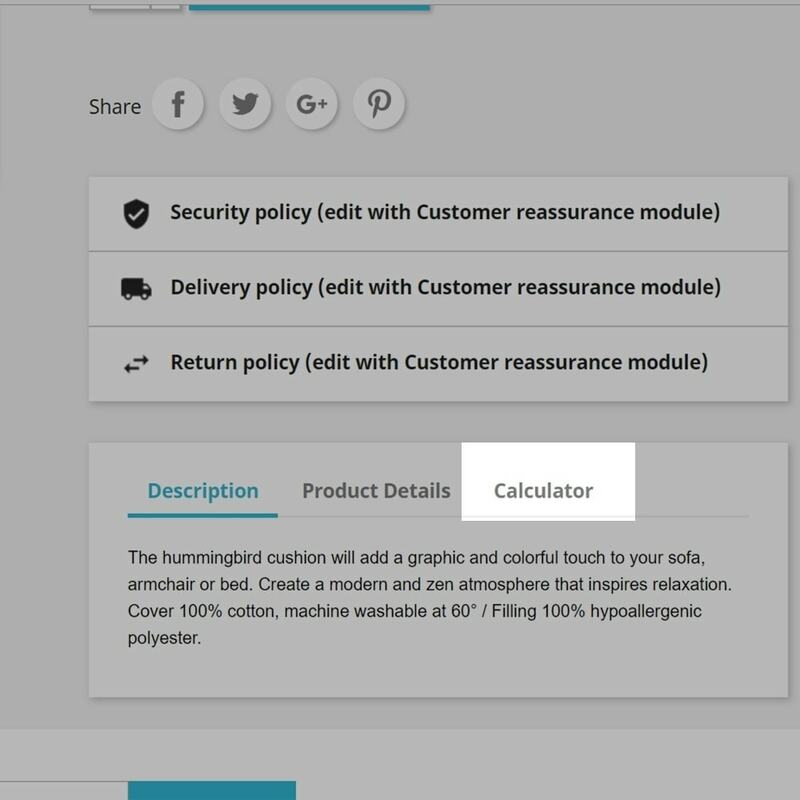 You can add upto 3 separate calculators to a product. 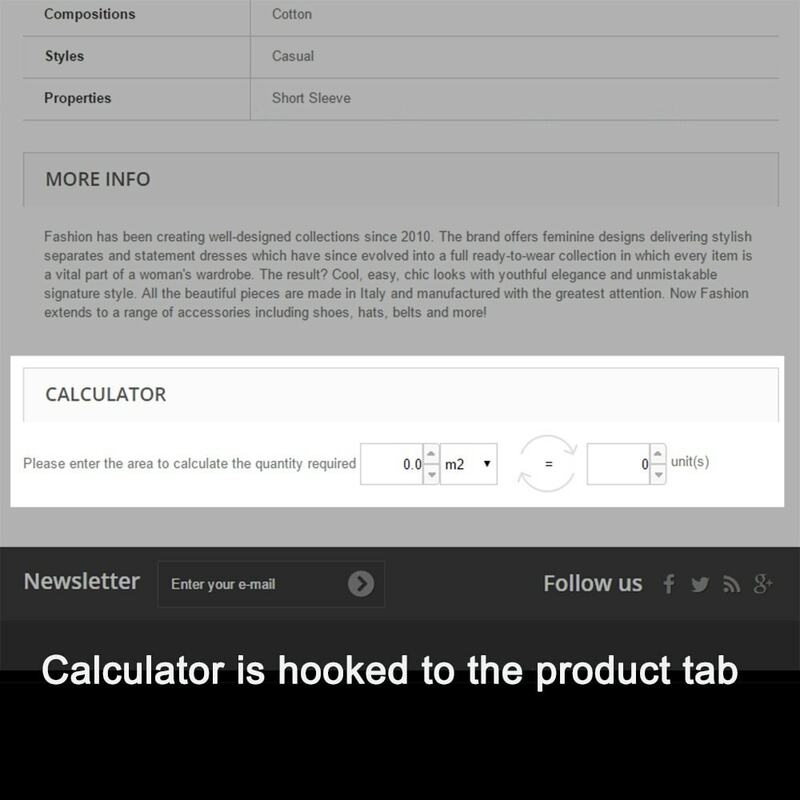 You can set a conversion rate like "10 m2 equals to 1 product". 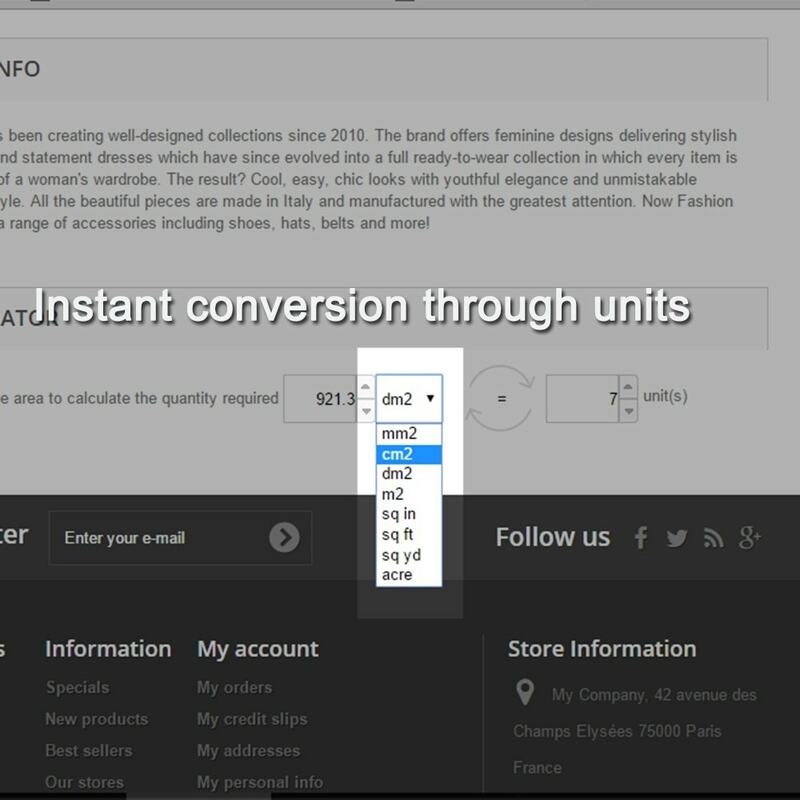 Conversions on the front page will automatically be made according to this default conversion in between standard units and/or metric units. Multiple area units are available with a combo box. You can set maximum and minimum value for the applet. Increase/decrease steps of buttons can be adjusted. For instance, you can increase the field value one by one, or 0.1 by 0.1 each time.